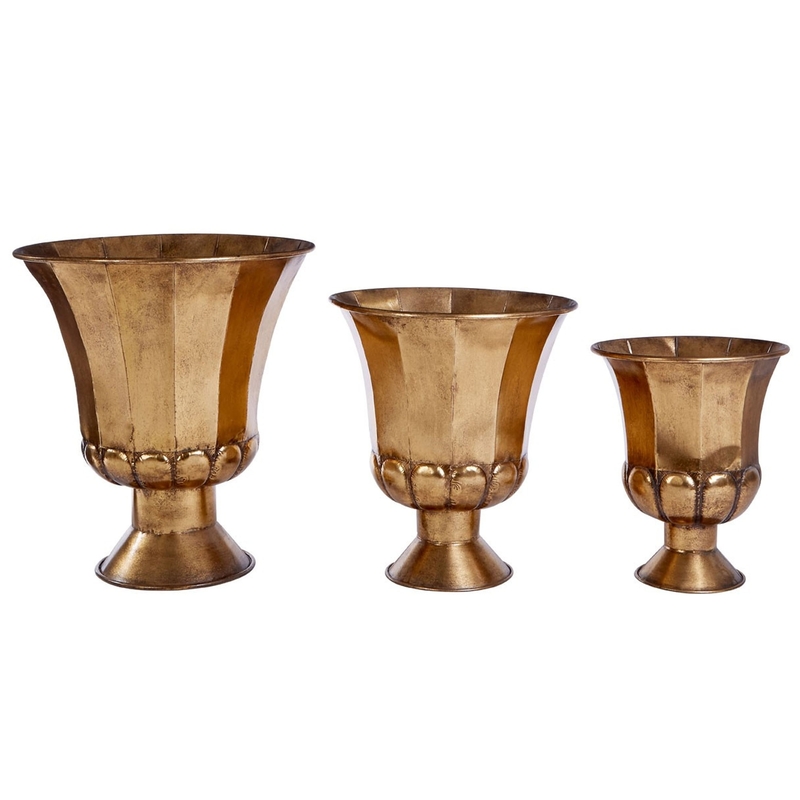 Add a contemporary style to your home by introducing these beautiful Reza Gold Oversized Planters. These planters feature a very sleek and eye-catching style, given a golden colour to add a warming and elegant effect. These planters come in three sizes, being perfect to be displayed together, whilst also having the ability to be separated throughout your home.